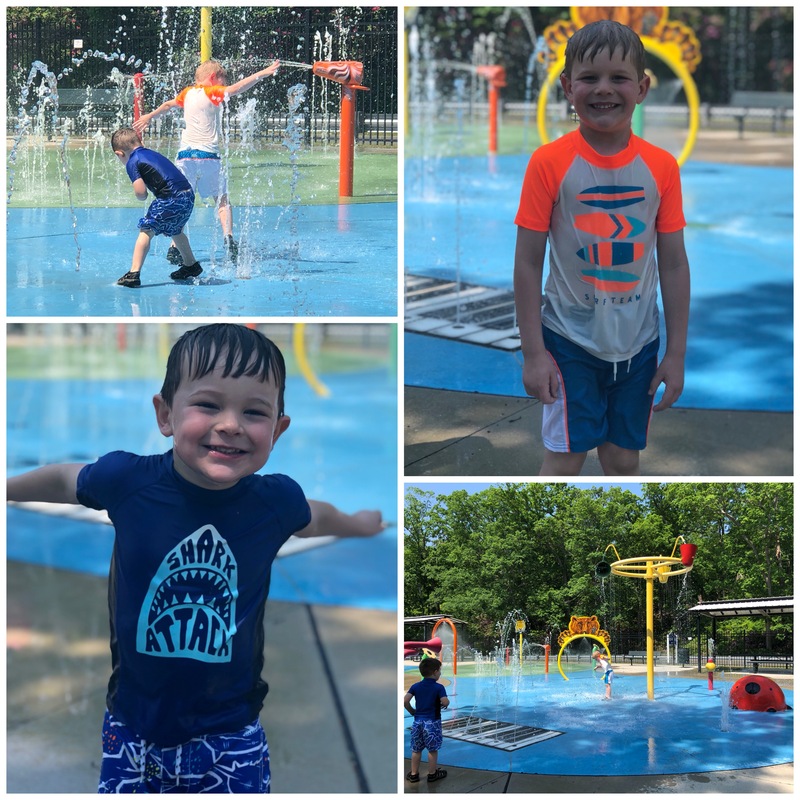 Located right next to each other in Bridgeton City Park, the combination of the zoo and splash pad make for the perfect warm weather adventure. 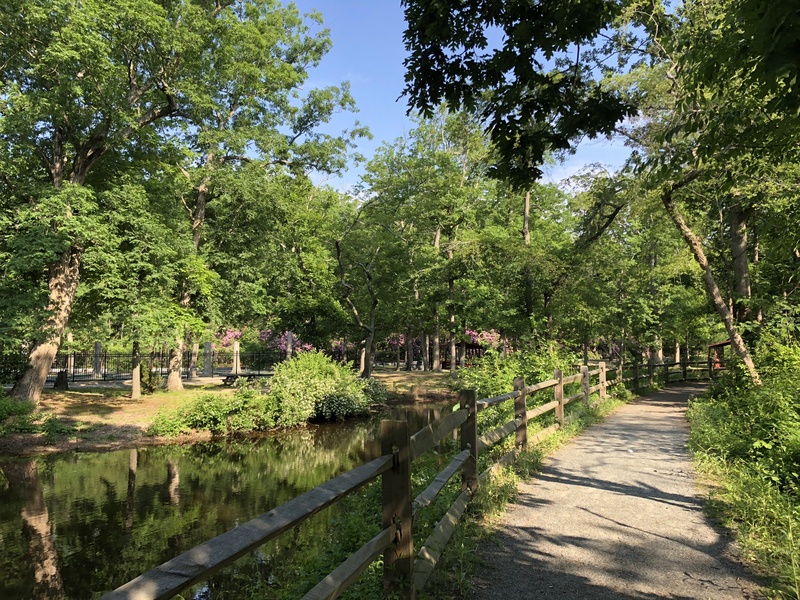 Sometimes it’s hard to find the motivation to get out and explore new places when you know it’s going to be 90 degrees and humid, but if you plan things right, this is the perfect outing for a hot Summer (or Spring!) day. The zoo opens at 9am and the splash pad opens at 11am. From Dover, it takes about an hour and 20 minutes to get there which isn’t too bad and once you cross the bridge the drive is really nice through rural New Jersey. 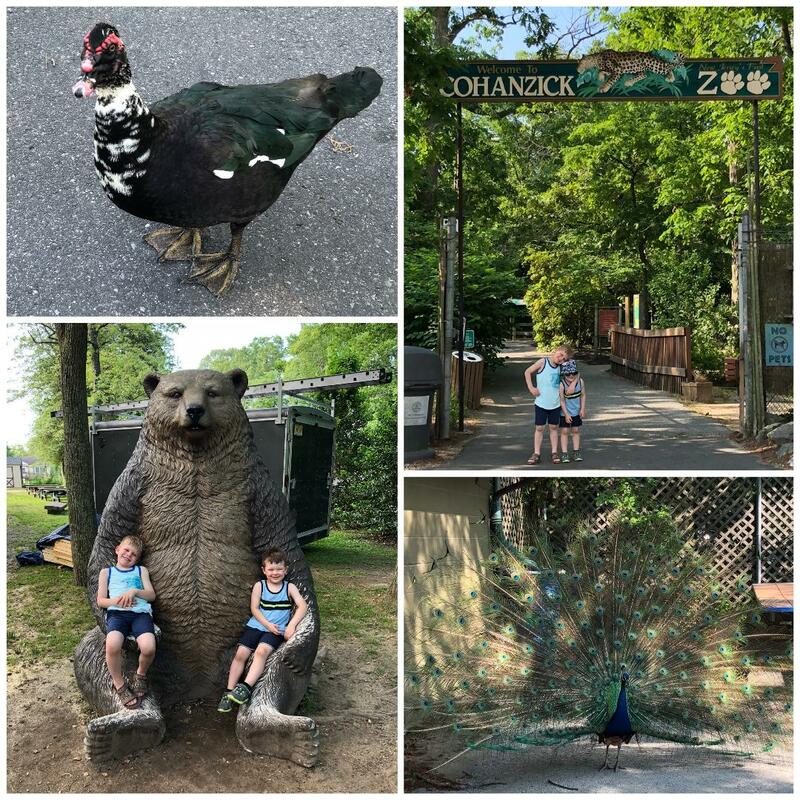 Another bonus…the zoo is free! I would say it is comparable to the Salisbury Zoo in size and variety of exhibits. It took us about 45 minutes to walk the whole thing. There are free roaming peacocks and ducks which the boys especially enjoyed, you just have to watch your step if you know what I mean. The enclosures were a good size and each type of animal had enrichment items with them which I love to see. 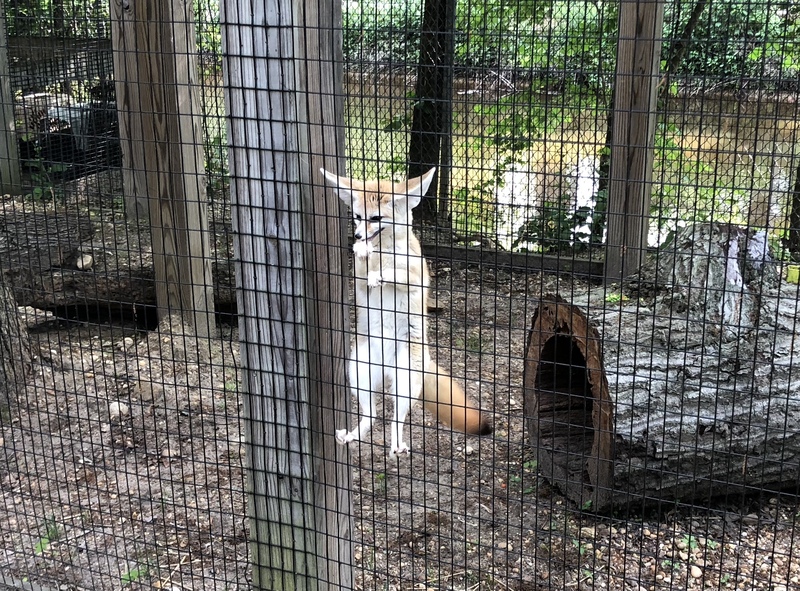 My favorite animal at this zoo were the fennec foxes. They were the absolute cutest little things. They played with each other non-stop, make the most adorable little squeaks and seemed to notice our presence, even hopping up on the fence to say hi. Since we finished with the zoo faster than I anticipated, we spent some time exploring the nature trail and searching for the playground that the city park supposedly has. I drove around for half an hour and never found it although the photo of it looks awesome on google. We did find Sunset Lake and Mary Elmer Lake which are both beautiful. Sunset lake offers a “beach” and multiple picnic areas so if you have time, you can bring your fishing gear on this adventure as well and spend some time there. We packed a lunch and ate early to kill some time while counting down the minutes until the splash park opened. We were the first ones there and had it all to ourselves for almost an hour before the crowd started filtering in around 12. The entry fee is $3 per person (including adults) and everyone HAS to have water shoes (i.e. something closed toed) on or they will turn you away. The boys had a blast and made the drive to Jersey completely worth it. In fact, they had so much fun at the splash park, the zoo paled in comparison which is saying something. It’s so frustrating that we don’t have similar amenities closer to us in central Delaware as they would be a huge asset to our community. We don’t even have a decent public pool that doesn’t have a huge waiting list to become members at. It’s safe to say my kids love all things water and it makes all the difference in the hot, humid Summer when you want to get outside but the thought alone makes you start sweating. Bridgeton City Park makes for an all around great day trip! Visit the zoo, walk the trails, hit the splash park, have a picnic, go fishing and head home tired with lots of great family memories.